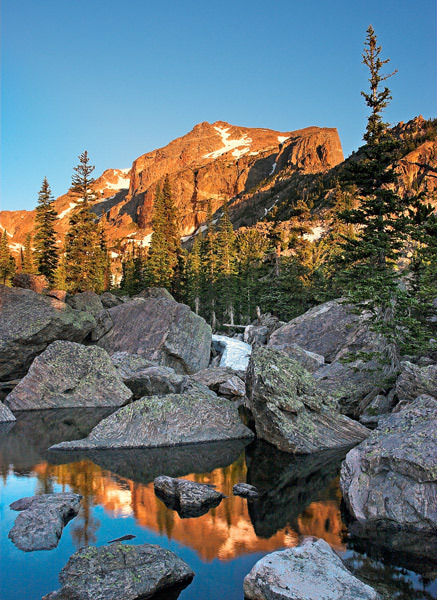 This photo was taken just a few yards from Lake Haiyaha in the eastern portion of Rocky Mountain National Park, about two miles above Bear Lake. Haiyaha means “big rocks” in Native American. In this section before the lake, you have to navigate through large boulders like the ones you see in the foreground. The mountain in the center of the photo is Hallett Peak (12,713), forms part of the Continental Divide. Photo © copyright by Mike Barton.